Bulgarian Deputy Prime Minister Krassimir Karakachanov’s VMRO party said that it would register on April 9 for European Parliament elections, becoming the second of the “United Patriots” nationalist grouping to do so separately from its partners. Parties and coalitions intending to participate in Bulgaria’s May 26 2019 European Parliament elections have until April 10 to register. National Front for the Salvation of Bulgaria leader Valeri Simeonov previously registered a coalition called “Patriots for Valeri Simeonov” for the European Parliament elections. The coalition includes a party called the Middle European Class, which has participated in a few elections, never winning any seats. Simeonov’s coalition named him as the top candidate on its MEP candidate list. Simeonov is a member of the National Assembly, having been a deputy prime minister in Boiko Borissov’s coalition government of GERB and the United Patriots, before resigning from government following outrage about offensive comments he made about protesting mothers of children with disabilities. The third party in the United Patriots coalition, Volen Siderov’s Ataka, has not yet registered for the European Parliament elections. Siderov’s party is choosing its MEP candidates through a “reality TV” format on his mouthpiece cable television channel. 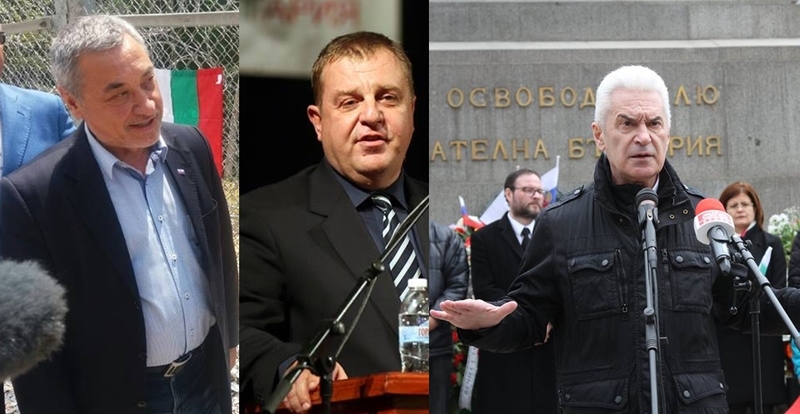 The more reliable opinion polls in Bulgaria have indicated that the only way in which the United Patriots coalition would win a seat in the European Parliament would be if they stood together. Of the three constituent parties, only Karakachanov’s VMRO is said to have a chance, though Alpha Research’s poll showing that it had just more than four per cent support puts it significantly below the 5.88 per cent threshold for winning a seat.